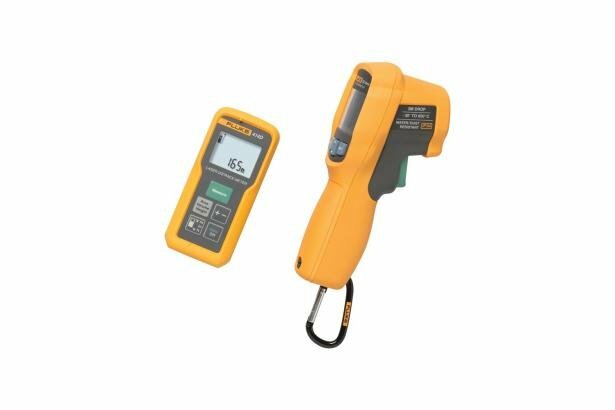 The most rugged Fluke 62 MAX+ IR thermometer teamed with the easy to use 414D Laser Distance Meter has everything you need to configure layout and to troubleshoot electrical/hvac problems quickly. 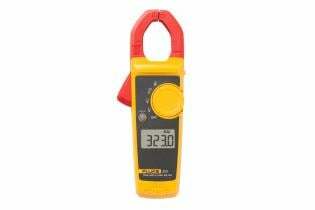 Use the IR thermometer to test for overheating in electrical devices and HVAC components, and use the laser distance meter to determine distance, area, and volume for space configuration. 1. Applies for 100% target reflectivity (white painted wall), low background illumination, 25 °C. 2. Applies for 10 to 500% target reflectivity, high background illumination, -10 °C to +50 °C. 4. Applies for 100% target reflectivity, background illumination between 10'000 lux and 30'000 lux. Le misure del valore vero RMS e le caratteristiche ergonomiche ottimizzate rendono i multimetri a pinza Serie 320 i migliori strumenti di ricerca guasti generica per gli elettricisti del settore commerciale e residenziale.